In desperate need of a spacious storage unit? 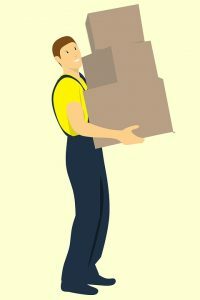 Whether you are planning a household or an office move chances are that some of your belongings won’t fit into your new place. Making your way from one home to another involves a lot of effort and important decisions. When dealing with an excessive amount of household belongings during the household relocation, there are several options to choose from. Other than keeping everything that you own, you can also consider tossing or donating items that you no longer need. 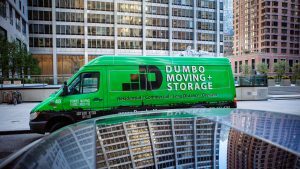 However, if tossing is out of the question, renting a storage unit turns out to be one of the most cost-effective decisions one can make during the household move. 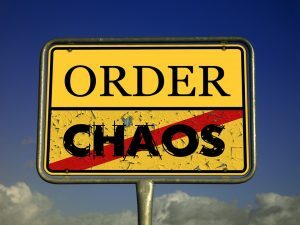 Since living in an overloaded place is no longer acceptable, you will need to store quite a few items in order to make the relocation successful. It’s no secret that over the years people become emotionally attached to certain items. When they find themselves in the position of moving to a new home, letting go of those items can be really painful. Although de-cluttering seems to be the most reasonable action to take when moving house, most people usually don’t realize that. While getting rid of unwanted items means saving a lot of money, people are interested in keeping the items of great sentimental value. Having made the decision to store your belongings, you may want to start your research sooner rather than later in order to get the best possible deal. Self-storage is a very convenient option, but you need to make sure your items are secure and protected all along. In order to decrease the chance of theft and burglary make sure your storage unit has all necessary security features. No matter what you are storing, you should take advantage of a properly secured self-storage in order to ensure your peace of mind. Knowing that your goods are in capable hands is a huge relief when transitioning from one home to another. In order to make an informed decision you should weigh all available options keeping in mind costs, efficiency and safety. There are several basic features you should look for when researching storage units. – Proper lighting system ensures ease of loading and unloading at any time of the day or night. Furthermore, since burglars typically avoid well lit areas, a proper lighting system turns out to be an indispensable burglar deterrent. – Controlled access is a convenient method for keeping track of the people trying to get into the storage facility. Thanks to the unique passcodes and security cards both you and the storage owners will be much more at ease. – On-site supervisors will safeguard the storage unit from unauthorized accessing. Your belongings will be under the watchful eyes of on-site managers during the business hours. When calculating your moving budget and comparing quotes, just ask yourself one question: How much does your peace of mind cost? Depending on how much you are willing to spend on storage services, you may opt for some additional security features. Before signing any contract, you need to get to know your storage unit as well as surroundings. Other than possible break-ins, there are other factors that can expose your items to harm. Unfortunately, in some cases even the most secured storage unit cannot compete with severe natural hazards and elements. External factors beyond our control can be a huge threat to stored belongings. Therefore, it’s extremely important to familiarize yourself with the measures you can take in order to keep your household belongings safe while in storage. As it turns out, an upfront investment in storage unit can make a difference between well-maintained and damaged household goods. Renting a storage unit is a great solution both for local and long-distance moving needs. It especially makes sense if you are downsizing, moving away temporary or just want to move away excessive things from your home. But, before you start organizing your storage unit, you should prepare your items for storing. – First of all, stock up on packing supplies – cardboard boxes of various sizes, packing paper, moving blankets,… And bear in mind the rule of thumb – use smaller boxes for heavier items and pack light items into large containers. – Line the floor of your unit with pallets so as to enable better air circulation and keep moisture from forming. – Take care of your breakables. Wrap each piece individually in packing paper or bubble wrap for better protection. Line each box with a lot of bubble wrap and make sure to stack fragile items at the top of the storage facility. – Maximize your storage space by using stackable boxes which are famous for being practical and easy to use. – Clean and dry out kitchen appliances and outdoor furniture. Refrain from using plastic wrap, since it’s likely to retain moisture and damage your precious items. – Taking large furniture pieces apart in one of the most efficient space-saving ideas you should consider when storing your belongings. Disassembled kitchen tables, chairs, sofas, bedroom sets, shelves will allow more room in your storage unit. – Make sure you have an adequate moving insurance, since your homeowners policy may not suffice. If you don’t own a homeowners or renters policy, bear in mind that any storage facility should be able to provide coverage in case of damaged or stolen goods. – Label each moving box according to the content and its destination. Also, it’s always a good idea to keep track of your belongings by making a comprehensive list of all stored items. Should anything go wrong, a photo of your unit can be useful for filing an insurance claim.